Worried about what might happen to your mistakenly fuelled car? You don’t have to agonise over your car’s future when you can just call us at Fuel Expert. Dial 07720875212 and we’ll come to your aid in 30 minutes or so. 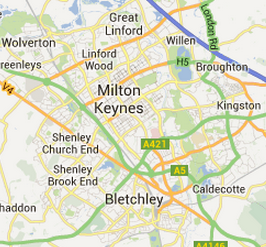 Fuel Expert has mobile teams in vans serving the area of Milton Keynes. We can easily dispatch the crew close to your location and we even do it 24/7. Each of our team is equipped with the latest equipment for petrol in diesel removal services. We also have the expertise to drain contaminated fuel from your car since we’ve been doing it for three years now. Fuel drain Great Linford. A family’s Ford was misfueled at Shell in Monks Way but reached Marsh Drive before breaking down with four gallons of petrol in it. Our crew got rid of it expertly in just 30 minutes though and sent the family on their way to the park. Fuel drain Kingston. A van for hire driver anxiously called for our help because his customers were waiting for him while he was stuck at Milton Keynes Kingston Extra. However, we siphoned all 40 litres of petrol from the van and got it running in 40 minutes. Fuel drain Bletchley. A customer filled her Kia C’eed with unleaded fuel at the New City Service Station, but we drained all five gallons of contaminated fuel in less than an hour. We even got a new customer referred by that Kia owner the week after. Fuel drain Newport Pagnell. Our 10th customer on a Monday afternoon was stranded at BP after mistakenly filling his Jeep with petrol. We helped him not lose his cool in front of his girl though by working on the tank in just 30 minutes. Fuel drain Caldecotte. We helped a customer and her Mitsubishi ASX not to be buried in snow after it broke down at Brickhill Street by siphoning four gallons of contaminated fuel from its tank in 20 minutes. Fuel drain Whaddon. It was New Year’s Eve when we drained a customer’s Honda CRV at High Street in just 50 minutes, sending him on his way home at around 11pm. He called us on New Year’s to tell us he’ll always remember us as one of the best garages that remove the wrong fuel in the Buckinghamshire county. Fuel drain Greenleys. Our customer’s misfueled Mazda BT-50 caused some traffic problems in Ardwell Lane before we arrived 20 minutes after we’re dispatched to the place. The car started normally after we drained and refilled it with enough diesel to get him to the closest filling station. Fuel drain Broughton. It was fortunate that on a busy Monday morning, we had a crew near the A5130, where a customer’s Skoda Fabia broke down. He had coffee by the road and he finished his cup at the same time we finished draining and priming the tank with diesel fuel. Fuel drain Willen. We earned another customer’s promise of calling us in the future if he ever needs help again after we removed 30 litres of petrol from his diesel Alfa Romeo Spider that broke down at Milton Road. Fuel drain Wolverton. It only took us ten minutes to get to the Wolverton Service Station from Linford Wood and save a Citroen C-Crosser from being contaminated with its wrong fuel.